Yes, likely the nut on one of the spindles or a stipped spindle. That’s what I thought. Thank you. hey guys im having a some what of an issue with my c.s front wipers, they dont work. the front jets washer work so does the rear wipers. (1) i have checked all the fuses inside and in the engine bay (2) checked that the bonnet is closed cause i know it wont work if the bonnet is opened (3) using a snap on diagnostic tool i scanned the vehicle wiper module. no cummunication with the wiper ecu (4) checked the wiper motor connectors and wires theres 5 wires im getting earth and positive (5) i jumped the gun and bought a second hand wiper motor on ebay still no luck , theres possiblity that the motor i brought is faulty. 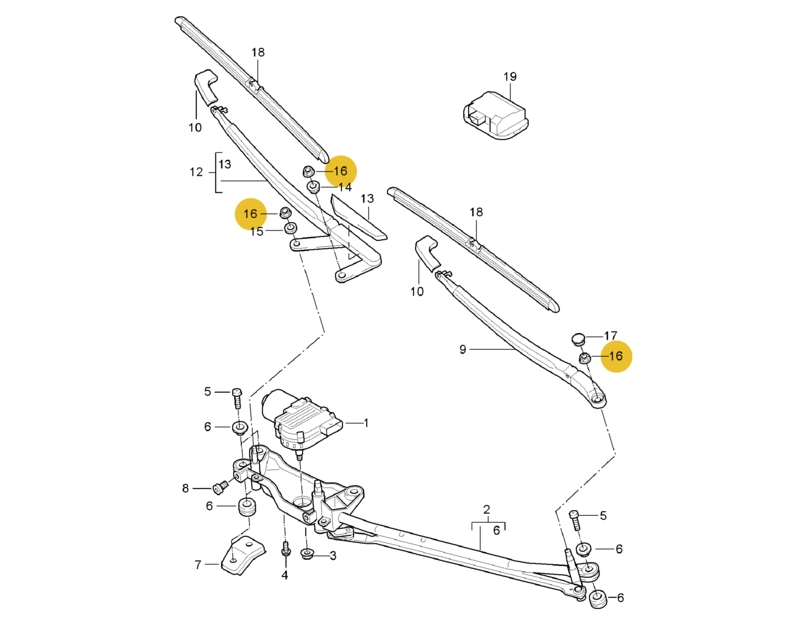 The passenger side wiper which has a double linkage and double shaft, one of the shaft metal bush is cracked and the wiper doesn't work correctly. The shaft spins inside the wiper arm and relies on the other part of the linkage and shaft to make the passenger wiper sweep in a fashion. So I'm looking and thinking about a cost effective Fix for the infrequent bit of rain we get here. 2. Make a home made bush out of aluminium can, seen this done before. 3. Drill and tap and then screw through the arm and into the shaft to lock all components together. Anyone had this issues and fixed it? Picture won't load up ....error 200??? ?